What do I do with old computers or phones? 77. How do I install Ubuntu? This is documentation for a network installation of Ubuntu on the BMC network using the BMC-IT network boot menu over PXE. This applies to physical PCs or VirtualBox. You can always do a manuall installation. Just download the DVD from Ubuntu and install. Skip a few steps in the instructions below. Netboot the computer, usually by pressing F12 at BIOS boot time. Step through the text installation. Activate automatic updates. Please name the computer TLA-SERIALNUMBER where TLA is your department unique three letter ancronym and SERIALNUMBER is the computer serial number. If you want to keep the Windows installation, if there is one on the computer, you can resize the existing partitions. If you install in VirtualBox, remember to install the VirtualBox Guest Additions to enable shared clipboard and files between the host and guest OS. 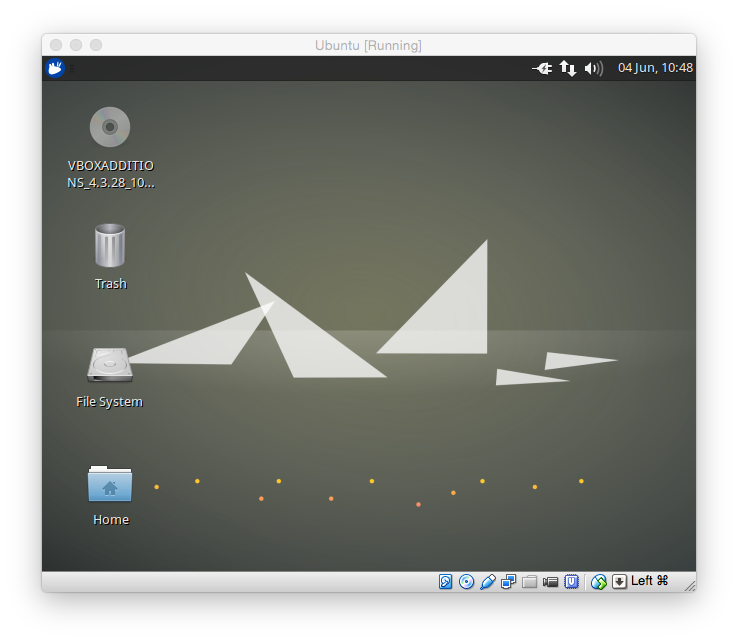 The CD is mounted automatically by VirtualBox. If everything works fine Ubuntu will find the CD and ask you for permission to install the guest additions. Just go ahead. Otherwise, tro to mount the CD via the menu in VirtualBox with Devices - Insert Guest Additions CD image.... Continue as above.